COLT IS NOT HYPOALLERGENIC!!! He does shed. Colt was found as a stray and brought in by Good Samaritans. Based on where he was found maybe he was dumped off of the Quickway as this seems to happen more often in Goshen. 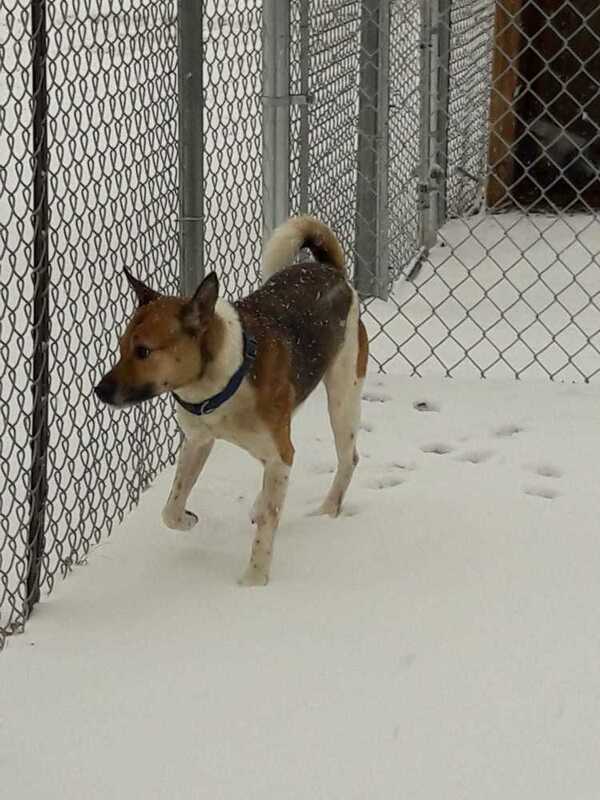 He appears to be part Basenji mix and maybe Akita. We are not 100% sure. He loves the outdoors, hence why he was hard to catch. Colt needs someone who has experience and willing to make a commitment. We originally thought he had an aversion to men, but it’s not that. He loves some people and not others. He’s about 1, and we don’t know what he came from. He shouldn’t be around children. He has Basenji in him, but is NOT HYPOALLERGENIC by any means and this is NOT a good reason to get a dog by any means. Colt could be a great dog for the right person, but no children.